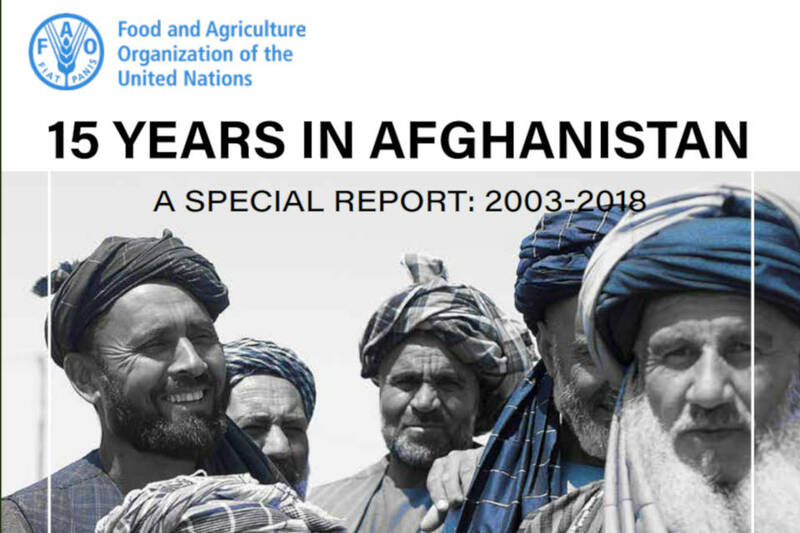 Report highlighting the past 15 years of FAO programming on agriculture in Afghanistan. Agriculture is unarguably the backbone of Afghanistan. It directly or indirectly employs the bulk of the population, it drives GDP growth in good years, and it provides the only source of livelihood for the majority of the estimated 19.3 million people living below the poverty line. For these reasons, FAO Afghanistan is one of the biggest FAO country offices in the world, and it has been based in and operating in Afghanistan continually since post-war reconstruction began in 2002. It has been doing work in the country since at least 1952, often operating through brave national staff during years of unrest that barred international staff from the country. In the past 15 years, FAO has operated over 400 large and small projects in country, ranging from months long projects on backyard beekeeping, to decade-long projects on restoring irrigation infrastructure. The projects have always taken care to follow priorities defined by the Afghan Government itself, beginning with those priorities outlined in the 2006 Master Plan, the 2009 National Agriculture Development Framework, and now the National Comprehensive Agriculture Development Priority Program (NCADPP) today. This report has been organized to show how FAO’s work aligns closely with the current NCADPP, however, it always has been and always will be responsive to Afghanistan’s changing needs.